It didn’t take long before the papers picked up on the sad story. 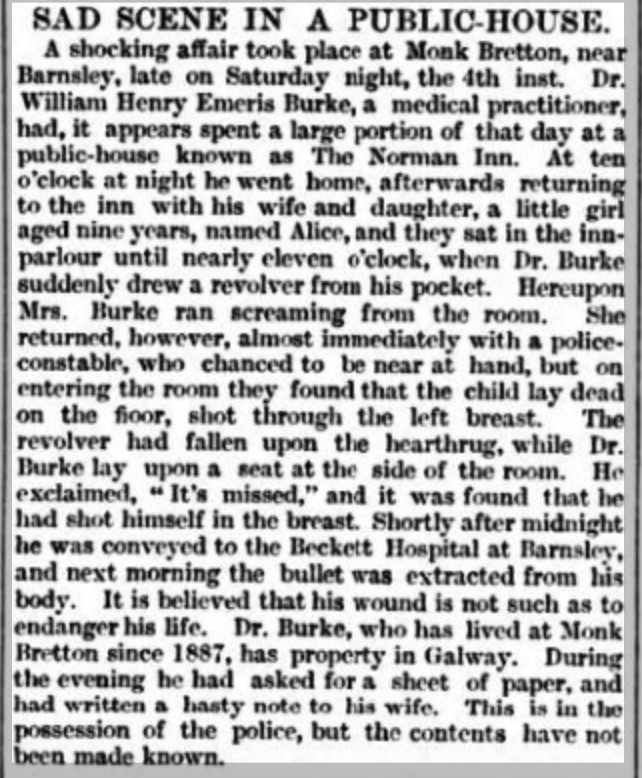 The following appeared in the Chichester Observer on 8th February 1888, four days after the event. The story was becoming more widespread making national headlines. The news had come to Ireland, but only made minor headlines. Emily Weddall who was twenty years old at the time would by now have known about her half brother. No doubt she and her siblings would have been anguished by the death of their niece and notoriety of their brother. Day by day the story and the back story unfolded in the public eye. This entry was posted in Family, History, Places on February 10, 2018 by Maria.